A Foreign currency trailing stop order is a stop order that follows the direction of the market. If the Foreign Currency Trading price rises then the stop rises as well and is placed for a higher sum. If the Foreign Currency Trading market is in a downtrend then the trailing stop locks its profits to prevent unnecessary losses. In other words, if the price fluctuates, the trailing stop follows the change. A trailing stop is a currency trading market order that is set below the current foreign currency price and rises as the price goes higher. if the price declines and reaches the trailing stop, then a stop-loss is triggered and the currency is sold. Placing a foreign currency trailing stop allows the order to adjust itself as the market foreign currency price moves in the direction you want. This way you can lock and safeguard you profits without having to monitor the market. Forex trading trailing stops work well when the investment follows a trend, and when this happens the investor is able to trade according to the best currency trading system. 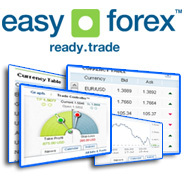 A counter trend foreign currency will not be suitable for the use of a trailing stop. The best way to follow a trend is to place a stop that continuously moves in the same direction of a trend using the recent highest high and lowest low figures. This means, for example, to place a trailing stop at the lowest low of the last few bars when you notice an uptrend in the currency trading market. The more bars we use when considering the lowest low or the highest high, the more room that is given to the foreign currency to move, and the larger the amounts of profits before the stop is triggered. Of course this means we give the foreign currency more room to drop. This kind of trailing stop is called a Channel Exit in the foreign currency trading market.